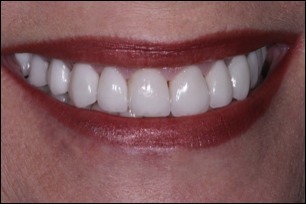 Procera® is an all ceramic crown that is completely metal free. Fabrication of the Procera® crown is done by a skilled dental technician typically in a dental laboratory outside of the dental office. The technician will create a thin hardened ceramic understructure that will be used as a base for the application of porcelain. The dental technician will then apply the porcelain to the understructure in the shape and color needed for the individual patient. Once the porcelain is applied the crown is baked in a porcelain furnace and delivered to the dentist. The dentist will then check the Procera® crown in the patient's mouth for proper fit, make any adjustments needed, and then cement the crown permanently.